Look into your heart and you will know the truth of this situation. It’s safe to admit the truth to yourself, for we will support and guide you through any necessary changes. Lean upon us for courage and the strength to take good care of yourself. Focus only upon your true desires and they’ll come to you upon angels’ wings. Our angel stands in a dim light. In the shadows, she holds firm to her veil and her cape. Her arms are folded across her heart. Her body language and her expression are ones of defensiveness. But who is she defending herself against? There appears to be no one else in the image nor does it imply someone standing outside of the frame. Her dress and even her wings are dark in color. Layer upon layer – her gown, her scarf, her shawl, her veil – she is covered and protected. Each layer holds its own intricacies of complicated geometric patterns and complex folds. Shadows within shadows. Behind her, at the tip of the clouds, we see a glow. Perhaps it’s this promise of light that terrifies her. While dressing a few mornings ago, I noticed a bruise on my leg. A two-inch, oddly shaped bruise that I didn’t remember getting and located in an area where one wouldn’t expect to find a bruise from a bump. Where did this come from? What is it? Is it the result of my clumsiness or, worse, does it foretell something ominous? More serious? There was clearly a slight blue tint on the surrounding skin. Swelling. There was definitely swelling around it. Uh oh. This is it. This is The Big One. Heart pounding, I reached down to feel what I was certain would ultimately lead to something life threatening and … oh. Oh. Well. Turns out it wasn’t a bruise at all. It was the light pattern in the room. The act of reaching out to discover the truth; to confirm what I was seeing with my own eyes, was enough to interrupt the shadow and reveal the reality. A blue-tinted, life-threatening splash? No. That was actually the slat in the blind distorted and interrupted by a figurine on my dresser. Swelling? No. That illusion was the combination of the light-effect and my own mind tricks – leading me to see what I expected to see. Being honest with yourself is a tricky process. It means stepping out of the shadows and into the light or reality. It takes true courage. Not because the “being honest with yourself” part is so difficult – but because the next step, the now what?, is. Yet the bottom line remains (as dear Dr. Phil explains): You can’t change what you don’t acknowledge. You’ll never get to the now what? if don’t allow yourself to explore the shadows. It’s the ugly now what? part where the healing must begin; where the pent up, veiled and cloaked toxins are living. The truth is rarely a surprise and it’s usually the first layer that you reach as you explore. 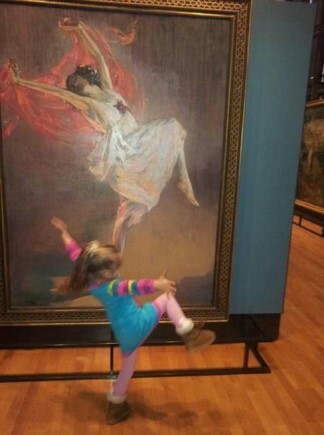 In my case: No real bruise. That’s the moment where, left to your own devices, it’s easy to grin, declare case solved and head to Starbucks. Whew. It’s also the level where the angels get involved. You can go to Starbucks and have a lovely morning but be assured that the angel sitting next to you is going to ever gently ask why you thought that bruise was something more? More importantly, why you were expecting it to be. This second-layer answer is the one you speak quietly. It’s the one which you may find yourself speaking almost in the voice of a child. The second-layer answer is an admission of sorts. “No real bruise but I know I’m doing too much.” Still some defensiveness but at least we’re getting closer to the core. When we reach that second layer, removing our “veil,” when we release the death-grip that we’ve had on it, there is a sense of relief. Whether we want to admit it or not, our muscles actually relax. Our breath comes a bit easier. It may be weeks or months before you are ready to remove the next item, the shawl you clutch so desperately. “I’m doing too much and I’m not as young as I used to be.” Ouch. In this layer we come to terms with the bare-bones of the issue. Irrefutable truths; undeniable facts. We acknowledge and somewhere in that acknowledgement – perhaps in just saying it aloud – we begin to accept those truths. This is often the place where we pinch ourselves to be certain that we’ve survived the realization. Now we’re left with our scarf. Closest to our skin, it is carefully woven of the softest possible words and images and soothing thoughts. It is the final cover and the one that conceals our deepest buried truth. “I’m doing too much and I’m not as young as I used to be. Life has changed. I’ve changed.” And there we have it. As our last piece of protective covering floats to the floor, we find acceptance. We are honest with ourselves. So there I stood in the now what? place. Well. For starters, I’ll need to slow down. Take better care of myself. Make better choices. (Like not having the jalapeno poppers at 10:00 p.m.) I don’t have to like it, but I understand that just because I’m no longer 27 doesn’t mean that there aren’t a blue million things that await me and that this station in life affords. By being honest with myself, knowing my limitations, I don’t waste another moment. Further, it brings new clarity and a wave of fresh memories that would have been forever sequestered lest they prompt me toward realizing that I’m not (fill in the age) anymore. We don’t have to like it. 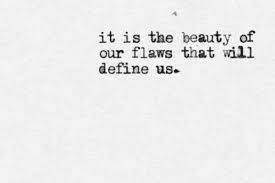 Yet accepting it and even embracing our Found Truth not only can, but absolutely will, bring us one step closer to living an authentic life. 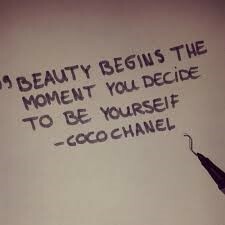 Confidence in knowing who we truly are is an immediate by-product. Found Truths bring us opportunities for reconnecting with ourselves in the light. Everyone’s reason to begin the journey toward Truth is different. Often, it’s the soul searching that precedes the decision to stay or end a relationship. It could be the death of someone dear. An opportunity that presents itself and your for-some-unknown-reason reluctance to accept what you always thought you wanted. Everyone’s journey to the Truth is different, yet the path is always the same. Begin by removing just one concealing piece. Start easy. Ask the angels to guide you as you peel the top layer off of a memory or idea that’s been bothering you. You may be surprised to find how many more layers there are below. Raphael the Archangel is the Archangel specifically assigned to healing. He brings with him an emerald green light. As you begin your journey, ask Raphael to be with you. Envision yourself surrounded by his light and protected by his love. When you receive the Be Honest with Yourself card during your reading, it is the angels’ gentle prompt: Start Here. This card is often seen when we come for a reading feeling as though our life is one giant traffic jam. We feel blocked and frustrated because of it. We feel as though we have tried everything imaginable and still we are stuck with the same career issues, financial challenges; we’re even meeting the same guy/gal over and over again. When we find ourselves in that jam; when we are blocked, the only way out is in. 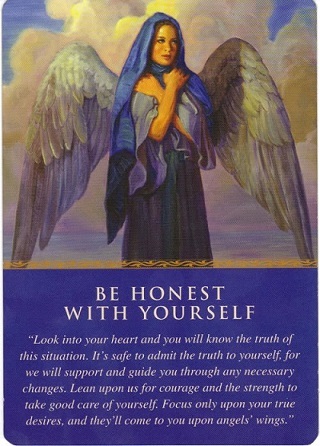 The Be Honest with Yourself card suggests that you open the door and begin your journey; the angel waits quietly, respectfully. Unlike other angel cards, this one brings with it an angel who is simply there to watch silently and prompt ever-gently. There is less guidance in this process than in others, because the process is part of the healing. Only you can find the nugget of honesty and recognize it when you touch it. Hold it in your hand. Turn it over. Hold it up to the light. The Truth will always – if eventually – bring you peace. 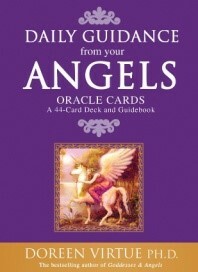 The Be Honest with Yourself Angel Card is selected from Doreen Virtue’s Daily Guidance from your Angels deck.